Tai Chi is an ancient martial art that originated in China, but is mainly practiced as a popular low-impact exercise today because of its slow, meditative movements and focus on mind-body harmony. Tai Chi differentiates itself from other exercises by its natural circular movements, focus on keeping muscles relaxed and joints never fully extended or bent. This makes it ideal for older people or as a rehabilitative exercise for those recovering from surgery or injury. Although there are different styles and schools of Tai Chi, the purpose and principles remain the same. The principles of Tai Chi are based on Taoism, a Chinese philosophy that emphasises balance and harmony of mind and body, in tune with the patterns of nature. 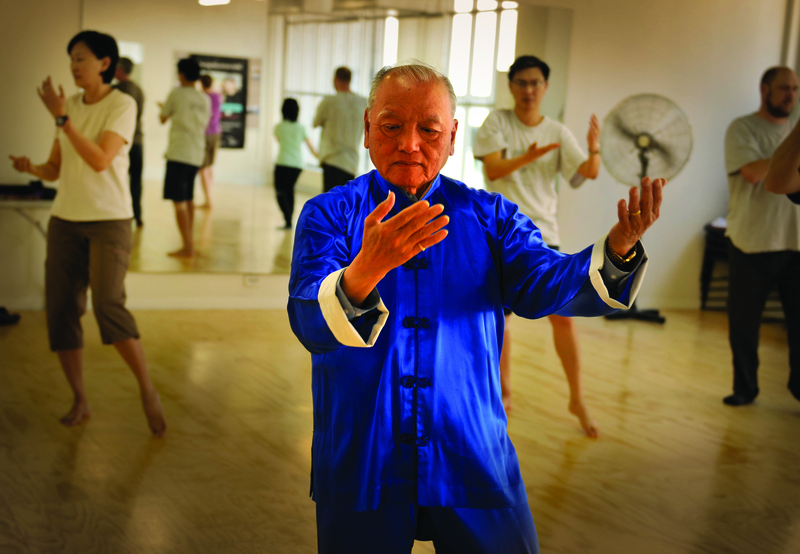 Tai Chi has proved to have several medical benefits, including improved mood, sleep, reduced stress-related anxiety, weight loss, cognition, motor function, balance and joint mobility. Tai Chi is perfect for those looking for a gentle exercise that combines meditation and a rich philosophy. Like Tai Chi, yoga is an ancient practice, which originated in India at around 3000BC. Modern yoga is quite different to the original form. Historically speaking, yoga was considered more of a meditative and religious practice, using meditation to transcend body pain and reach a higher level of being. It wasn’t until the mid-20th century that yoga became popular in the West. Yoga has many forms, which can be confusing to beginners and those looking for a gentle exercise. The most popular form of gentle yoga in the West is Hatha Yoga that draws upon a collection of Yoga styles grounded in physical postures. In most cases, Hatha Yoga is recommended for beginners due to its slower pacing and emphasis on holding poses, but it is always good to check with the teacher or studio to gauge the level of movement and the fitness required. 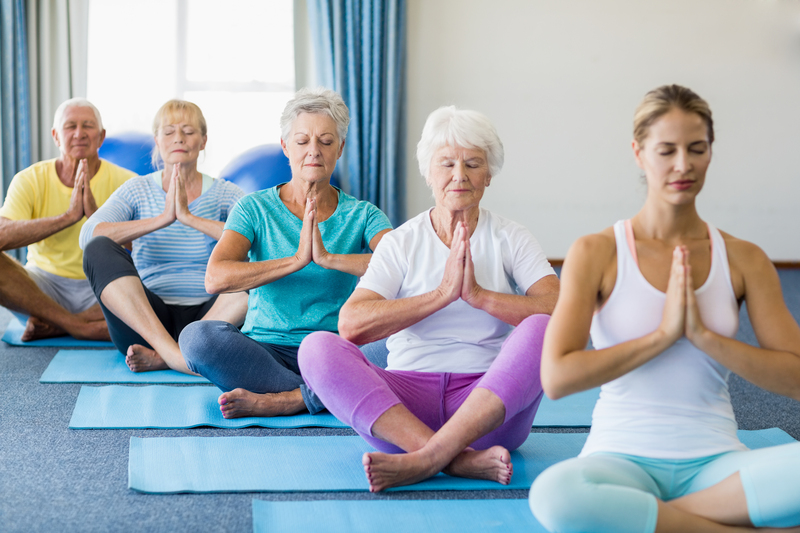 Yoga is a great option for those looking for a gentle form of exercise that combines deep breathing, meditation and holding poses. Fitness is not all about sweating it out in a ‘no pain, no gain’ gym environment. 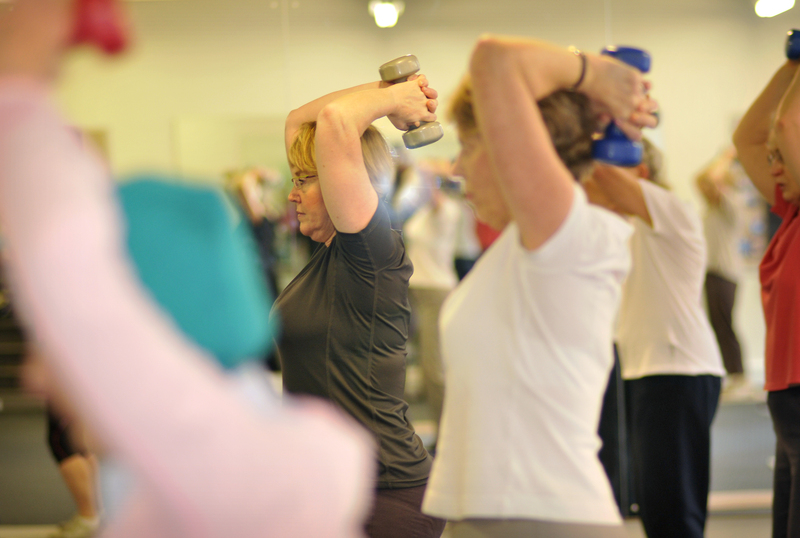 Many fitness programs are adapted for a gentle exercise experience. Gentle exercise or fitness programs are a great way to get started, with routines that you can repeat at home. Many gentle exercise programs have exercises designed to improve joint health and muscle strength using weight bearing and resistance training. In these programs, you can experience the music, coordination, instruction, equipment and fitness trainer that you expect in a gym environment, but at a safe and gentle pace adapted to your age, injury or level of fitness. If you’re looking for a traditional gym environment or if you want a repeatable fitness program without the spiritual philosophy, then a gentle exercise or fitness program might be the best form of exercise for you. The Feldenkrais method is less a form of exercise but more of a mindful exercise therapy. It deserves a mention because of its emphasis on mindful movements, posture and breathing, which is suitable for all ages and fitness levels. Feldenkrais teaches moving with awareness. It’s about learning to perform any kind of movement, whether it’s exercise or repetitive daily tasks, using minimum effort for maximum efficiency. Trained Feldenkrais practitioners use touch, movements, guided imagery and body awareness exercises to improve overall health, breathing and posture. Feldenkrais is good for people not looking for an exercise class, but who would like to learn techniques and movement patterns to assist with injury prevention, rehabilitation or to prepare for future gentle exercise practice. Many gentle exercise practices offer a range of techniques, with or without the philosophy. If you have concerns about your age, injury or medical condition, talk to your doctor first who might be able to recommend exercise options specific for your needs. If you’re interested in enrolling into a gentle exercise program, check out our range of Fitness & Sport short courses.